Original article published on May 7, 2018, written by the University of Amsterdam, Faculty of Science. UvA Earth Sciences alumni made it to the finals of DigitalGlobe's international GBDX for Sustainability Challenge. Their winning project, Global Green City Watch, makes it possible to monitor the quality of green spaces in a city based on satellite imaging, and use insights from these data to improve the quality of urban green spaces. The contest was organised by DigitalGlobe to give a platform to ideas that accelerate innovation in support of the United Nations’ Sustainable Development Goals. According to the jury report, Global Green City Watch has the potential te be developed into a powerful tool that not only maps urban green spaces in great detail, but can also link this information to health indicators (such as for asthma prevention or pollen allergies). 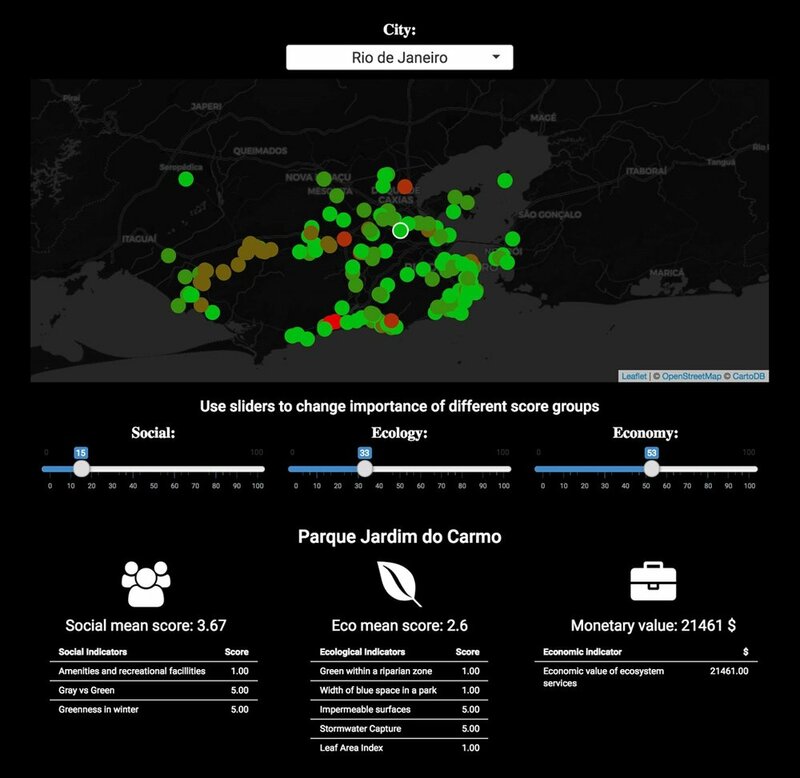 As an open source application, the tool can be used by regional governments to strengthen the ecology in the city. 'More than half of the world population lives in urban areas, making the ecological quality of the city of increasing importance. Local government often lack the proper tools to map and assess the quality of their parks, gardens and other urban green space,' team member Nadine Galle explains. Nadine Galle. Photo: private collection. With their win, the team, which besides Galle consists of earth scientists Chris van Diemen, Jim Groot and Anjelika Romeo-Hall, and Urban Studies Master's student Stella Balikci, gains access to 100 PB (petabyte) of satellite data as well as technical support from DigitalGlobe to develop their application. In addition, they have been invited to present their project to the World Bank in Washington DC. The team received advice and support from Emiel van Loon, researcher at UvA's Institute for Biodiversity and Ecosystem Dynamics.